The innovative assistance system includes a function for detecting significant wet road conditions and a corresponding vehicle setup for increased driving stability on wet road surfaces. “Wet Mode was developed to provide the driver with consistent support in wet conditions. It does not restrict the maximum power of the engine or limit the top speed, and should therefore also not be used as insurance for driving too fast in very wet conditions. Instead, it should be seen as an assistance system in the truest sense,” says August Achleitner, who has been head of the model series for many years. Porsche Wet Mode can automatically detect a wet road and warn the driver about the risk of aquaplaning. For this purpose, acoustic sensors in the front wheel housing detect swirled-up spray water. This makes it fundamentally different from windscreen wiper rain sensors, which only react optically to water droplets on the windscreen independently of the road conditions. This is because there may still be standing water on the road even when a rain shower has passed. 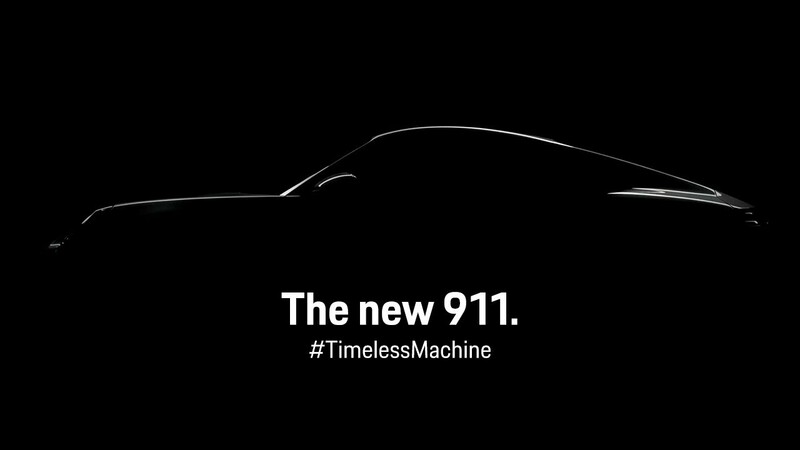 The eighth generation of the new 911 was presented in Los Angeles at the end of November 2018. The turbocharged flat-six engine of the 911 Carrera S and 911 Carrera 4S now produces 331 kW (450 PS; 911 Carrera S: Fuel consumption combined 8.9 l/100 km; CO2 emissions 205 g/km; 911 Carrera 4S: Fuel consumption combined 9.0 l/100 km; CO2 emissions 206 g/km). This corresponds to an increase of 22 kW (30 PS) compared with the previous model. 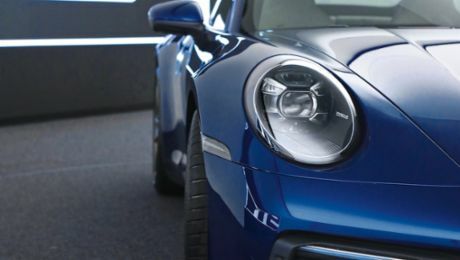 Both 911 models beat the four-second mark for acceleration from zero to 100 km/h: the rear-wheel-drive Coupé needs 3.7 seconds and the 911 Carrera 4S with all-wheel drive just 3.6 seconds. This makes both cars 0.4 seconds faster than the previous model in each case. The 911 Carrera S costs from 120,125 euros in Germany, the 911 Carrera 4S from 127,979 euros; the corresponding Cabriolet variants are available from 134,405 euros or 142,259 euros respectively. The prices include value-added tax and country-specific equipment. Porsche Wet Mode is standard equipment in all models.